Baby got to try his first bites of real food last month. Hurray for that! I started with avocado and at first he wasn't crazy about it. Next we tried bananas, and he loved those. Now, he eats all kinds of little nibbles, with gusto. 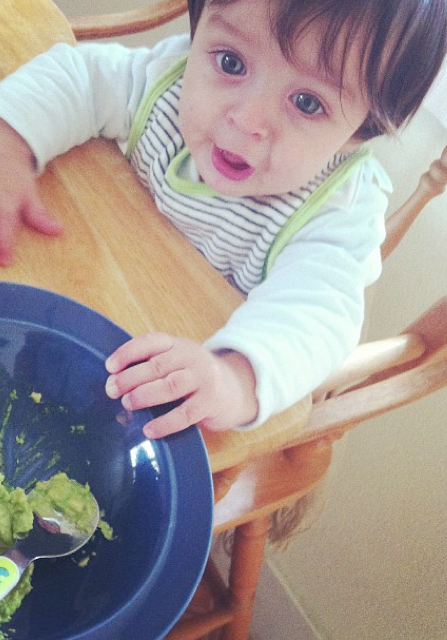 Here he is looking super excited about getting down on some avocado. To be quite honest, he ate that up, the look on his face was frustration from not being able to grab the awesome blue bowl. 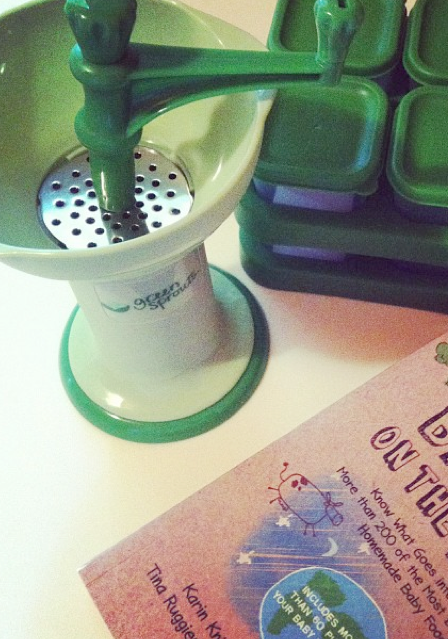 I used this Green Sprouts hand food processor. It comes with little storage packets as well. I did get a great baby food cook book for Christmas and I browse through it to get ideas. I have not tried any of the recipes yet though. 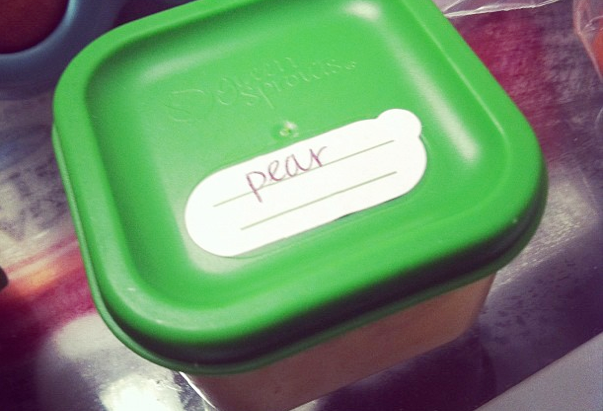 The little storage containers come with labeling stickers that make it easy to organize and keep the baby food in the fridge. You can note what the particular combination is and the date made.